Award-winning journalist James Fergusson is among the few to have witnessed at first hand the devastating reality of life in the failed and desperate state of Somalia. This corner of the world has long been seen as the rotting and charred heart of Africa: a melting pot of crime, corruption, poverty, famine and civil war. And in recent years, whilst Somalia’s lucrative piracy industry has grabbed the headlines, a darker, much deeper threat has come of age: the Al Qaida-linked militants Al Shabaab, and the dawn of a new phase in the global war on terror. Yet, paradoxically, Somalia’s star is brightening, as forms of business, law enforcement and local politics begin to establish themselves, and members of the vast Somali diaspora return to their homeland. Fergusson takes us to the heart of the struggle, meeting everyone from politicians, pirates, extremists and mercenaries to aid workers, civilians and refugees. 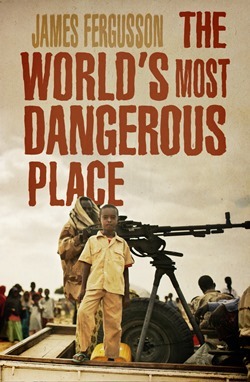 He gives a unique account of a country ravaged by war, considers what the future might hold for a generation who have grown up knowing little else and exposes the reality of life in this hard, often forgotten land.